Mother’s Day is coming and mom is recovering from an orthopedic event…wondering what to buy her? You can help mom feel better, so she heals better with CastCoverz! The oh-so-common Mother’s Day gifts are chocolates and flowers. Think outside the (chocolate) box this year and give mom a fun AND functional gift she’ll appreciate during this inconvenient and uncomfortable time in her life. CastCoverz! provides much needed comfort and function, in addition to adding some style. Whether mom is wearing an arm or leg cast, gimping around on crutches, using a cane, wearing a walking boot, or has her arm in a sling, CastCoverz! has just the perfect Mother’s Day gift! 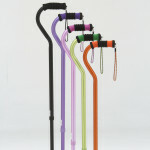 Products range from cast covers (to keep her cast covered, clean, & snag-free), designer color crutches and canes (in fun colors with quality construction), padded crutch covers (there’s even a handy crutch bag), to walking boot covers (covering those toes and that ugly boot), the Evenup Shoe Balancer (evens gait while wearing a boot), and fashionable arm slings (designed with function in mind by adding a thumb loop for wrist support & comfy faux-fur strap). With many designer colors and fabrics available, you can choose one or two that are just perfect for her. Whether it’s bold and beautiful or simple and neutral, CastCoverz! 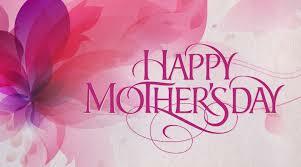 has mom covered this Mother’s Day with fashionable and functional orthopedic accessories. *CastCoverz! offers same day shipping (when placed before 2:30 pm PST) with delivery in 2-3 business days with U.S Priority Mail (Fedex overnight shipping is also available).